Home / News / Politics / Robin Padilla slams House 'Coup d'état': "Bastusan, Agaw Eksena"
Robin Padilla slams House 'Coup d'état': "Bastusan, Agaw Eksena"
On Monday, July 23, 2018, action star and prominent actor, Robin Padilla, went live on Facebook to condemn the situation happening at the House of Representatives while he was on his way to President Rodrigo Duterte’s third State of the Nation Address where he was invited. It can be recalled that the President was expected to convey his Sona at 4 p.m. However this was deferred because of former President Gloria Macapagal-Arroyo's take over as the new Speaker of the House of Representatives. 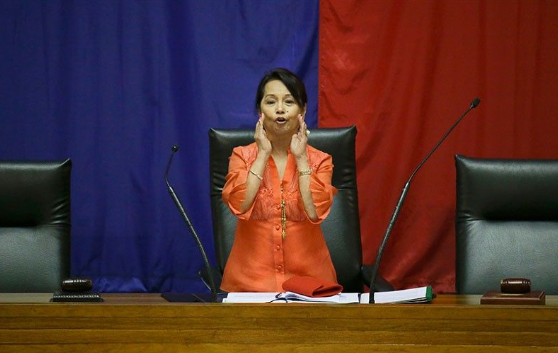 Arroyo's oath taking surprised many, it also drew protesters in the streets to fly into fury. She then stood on the podium and spoke into the mic despite the sound system being turned off as lawmakers applauded. She later had to shout so that she could be heard. Arroyo was said to have been picked by 184 legislators, making her the 21st and the first and primary woman Speaker of the House. 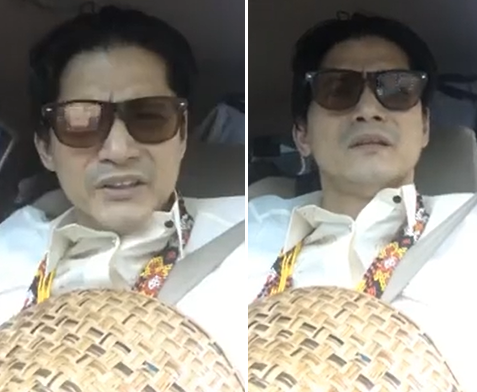 Padilla, in the front seat of his car, having originated from a taping of his romantic comedy series, then took to social media and showed his dismay over the surprising House "Coup d'etat". should not have done it during the President's SONA. He said that what they did was very nasty and offensive. “May bagong paandar dun. Eto na naman, di na natapos ang Pilipinas. Ang hindi lang maganda dito di nila dapat ginagawa to kay mayor,” Padilla said, referring to Arroyo’s takeover. “Mali to. Hindi dapat sa oras ng SONA ng Pangulo ng Pilipinas. Mali. Bastusan ang tawag diyan.”, Padilla exclaimed. Likewise, Padilla added a swearing remark and said that the event was apparently not about the Congress and he really can't accept what the latter did. “Hindi ito tungkol sa inyo, yan mga andyan sa Kongreso. P*tangina. This is not about you,” Padilla continued in his tirade. “Pambihira kayo… Magpasalamat kayo talaga wala ako diyan. Anong klase talaga yan, di ko matatanggap yan, ito ba ang binabayaran ko ng buwis?”, he said. Padilla also howled the interruption and delay in President Duterte's SONA because of the House push and said that the day was supposedly for the President , and the President alone. Not for Congress or any 'Coup d'etat'. They should have shown some respect and not made their own scene. “Mahirap ba intindihin na araw to ng Pangulo, hindi to araw ng Kongreso. Magbibigay ng pahayag ang Pangulo may coup d’etat? Anong klaseng pambabastos yan. Nirespeto niyo nalang sana ang taumbayan,” said Padilla. “Kumbaga sa mga artista, merong agaw eksena dito.”, Padilla uttered. 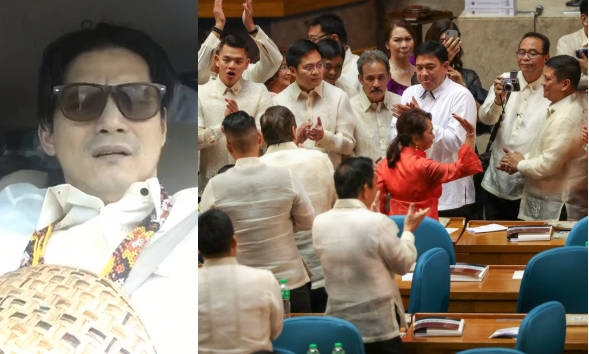 After reprimanding Arroyo's ascent as House Speaker, Robin Padilla at that point called on his fellow Diehard Duterte Supporters (DDS) to be watchful. “Maging alerto tayo… kung anong pakana ito. Bastusan talaga. Matinding assignment sa atin ito, mga Duterte Diehards.”, he ended. To watch his full video, click here.